When the darkness sets in I will lay by your side til' the break of day. I just want you as you are. Its simple. Sidewalk Chalk continues to lead the contemporary evolution of hip-hop, soul, and jazz. The band’s third album, Shoulder Season, is compiled from seven live performances across the US. Its title signifies transition, a time in between two places, a feeling of expectation for what is to come. Sidewalk Chalk’s roots are firmly planted in Chicago where all eight members bring their respective talents together to update a sound first heralded in the Native Tongues era but never so musically diverse. 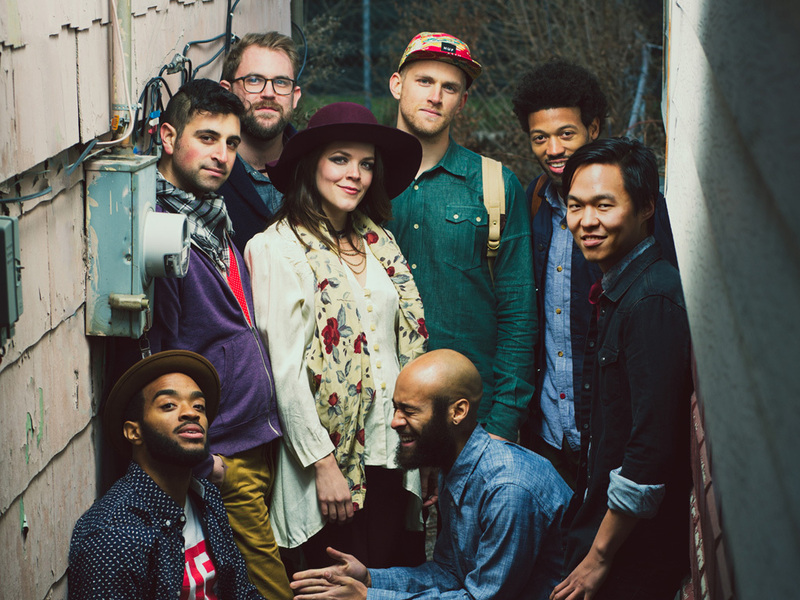 The group’s unique arrangement allows them to incorporate numerous styles seamlessly: an MC and female vocalist; a trio of keys, bass, and drums; a horn section with trombone and trumpet; and a tap-dancer. Following their sophomore album, Leaves, and their debut release, Corner Store, this new album finds the group venturing into more cerebral musical space, accompanying songs about the duality of our lives and our world. The essence of each performance is captured, with electric and energetic crowds playing as much of a role on the album as the band itself. The group has shared stages with ?uestlove, De La Soul, Action Bronson, Jean Grae, Hiatus Kaiyote and other notables. Individually, band members have acted as musical director(s) for Brother Ali, toured with Jazzanova and played behind Buddy Guy and Talib Kweli. Sidewalk Chalk was named "Most Outstanding Group" at the 2012 Chicago Music Awards, and its MC represented Chicago at the 2010 World Expo in Shanghai, China. Sidewalk Chalk is: Rico Sisney (MC), Maggie Vagle (Vocals), Charlie Coffeen (Keys), Garrett McGinn (Bass), Tyler Berg (Drums), Jumaane Taylor (Taps), Sam Trump (Trumpet), and David Ben-Porat (Trombone).